Our Workshop helps keep your fleet safe and ready to roll. CARMAX AUTOCARE has built a comprehensive fleet management service, which are enjoyed by several clients. At every stage of the fleet maintenance and management process we have addressed efficient Service, Information Management & Payment needs of our clients. We have helped build controls that offer real savings in both time and money and we encourage all fleet managers to take advantage of our fleet services for mutual benefit. Want to learn more about fleet maintenance and services? Fill out our short online form and a CARMAX AUTOCARE Fleet Services representative will contact you shortly to answer all your questions. Number of cars in fleet. At CARMAX AUTOCARE, our primary objective is to keep the vehicles in your fleet running at all times, with minimum downtime. Being proactive to your fleet of vehicles helps you avoid downtime and provides incredible overall savings. Leverage our Yearly Service & Preventive Maintenance plans, which help streamline the management of any set of vehicles throughout the course of the year, with little or no issues. Because we are PROACTIVE to vehicle maintenance and service and we always follow your individual manufacturer’s service recommendations to the letter. 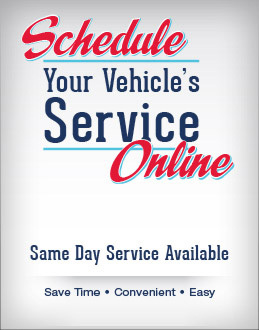 This means your vehicles get the exact care as specified by their manufacturer. At CARMAX AUTOCARE, we check every vehicle using a multipoint inspection check list and will provide a detailed estimate of the needed repairs. We also use the best lubricants, including Engine Oil, Transmission, Power Steering, Brake, Fulids (Imported) and the best quality parts, many of which are backed by the manufacturer of your vehicle. CARMAX AUTOCARE offers our corporate fleet clients, flexible payment options to suit your payment preferences. Request a Contact To obtain additional information about CARMAX AUTOCARE Fleet Services, please complete the form below and a CARMAX AUTOCARE Fleet Services representative will be in touch with you shortly. In terms of value… It’s hard to top us. We strive to provide outstanding value to our customers because we value you so much!